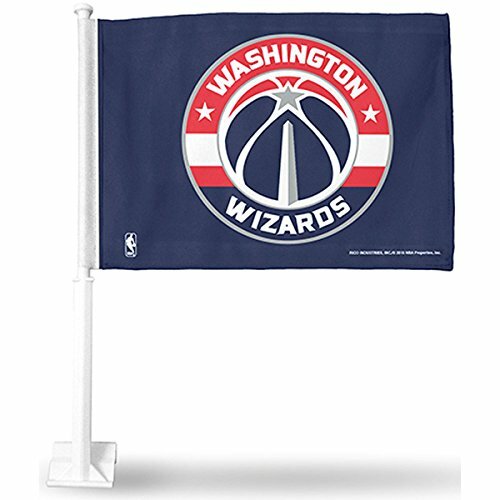 This Washington Wizards Monument Ball Logo Car Flag is a perfect way to show your NBA allegiance around town and fits on any vehicle window! These Car Flags measure 12" x 15", are made of 2-Ply Polyester, and are Screen Printed with Licensed insignias and logos. Each Washington Wizards Monument Ball Logo Car Flag is Officially Licensed by the selected team which insures current insignias, wordmarks, and authentic colors. The NBA Car Flag includes the Plastic Pole and Mounting Bracket.